LEASE PURCHASE AVAILABLE NOW!! 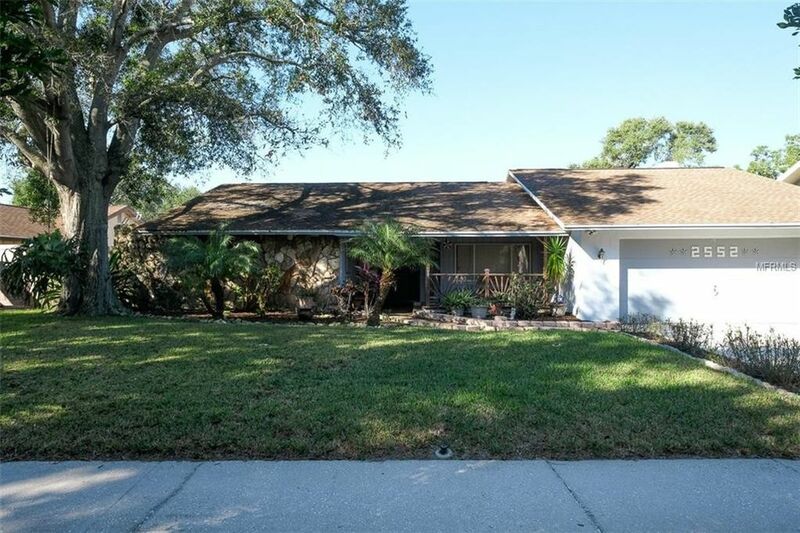 This fabulous pool home is located in the ever popular Hidden Lakes subdivision in central Palm Harbor and zoned for Palm Harbor University High School, Palm Harbor Middle and Ozona Elementary!! The seller has just installed new flooring and freshly painted the inside so it is ready for new owners!! Solar panels for the pool and a water softener with reverse osmosis were installed just 2 years ago along with the A/C in 2011, microwave in 2017 and the roof in 2007. This home offers a very comfortable split bedroom floor plan with formal living and dining room, and a separate family room with wood burning stone fireplace. The solar heated pool and lanai overlook a very spacious and totally fenced in backyard! This home is available immediately and ready to go!! Seller can close quickly!! Don't delay on this one!! Make an appointment today!! Directions: US 19 NORTH TO LEFT ON ALDERMAN ROAD TO LEFT ON EAST RIDGE DRIVE TO RIGHT ON NORTHRIDGE DR. TO LEFT ON WINDING WAY.